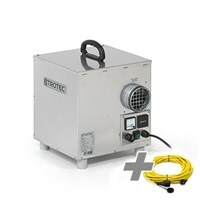 Robust high-quality dehumidifier that meets and beats the highest demands in industry. 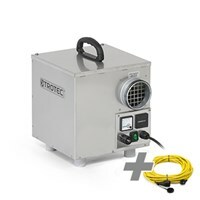 Package deal comprises the TTR 250 desiccant dehumidifier and a professional extension cable. 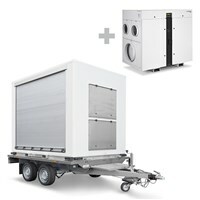 Mobile dryer trailer for on-site operations: TTR Cargo including the TTR 5200 adsorption dryer. Mobile dryer trailer for on-site operations: TTR Cargo including the TTR 6600 adsorption dryer. Mobile dryer trailer for on-site operations: TTR Cargo including the TTR 8200 adsorption dryer. Here you will find great packages deal of desiccant dehumidifiers of the TTR series.